Ceramic tiles are a great flooring solution for both residential and commercial use. Available in many various sizes, in a myriad of colors and designs, ceramic tiles have an infinite potential to make your home or commercial space look and perform its best. Home Art Tile Kitchen & Bath is the largest ceramic tiles showroom in Queens, NY, located only 5 minutes away from Manhattan. We stock and display hundreds of ceramic floor tile options and ceramic wall tiles in multiple textures, colors, and designs. Our ceramic tiles are sourced from the best manufacturers and our showroom is the only authorized seller of the world’s foremost ceramic tile companies around tri-state areas. World-class look, innovative design, amazing durability, and affordable prices are the reasons why ceramic tiles are one of the best-sold products in our showroom. Come in today to explore our premium ceramic tiles selection, perfect for both casual and luxurious lifestyle. 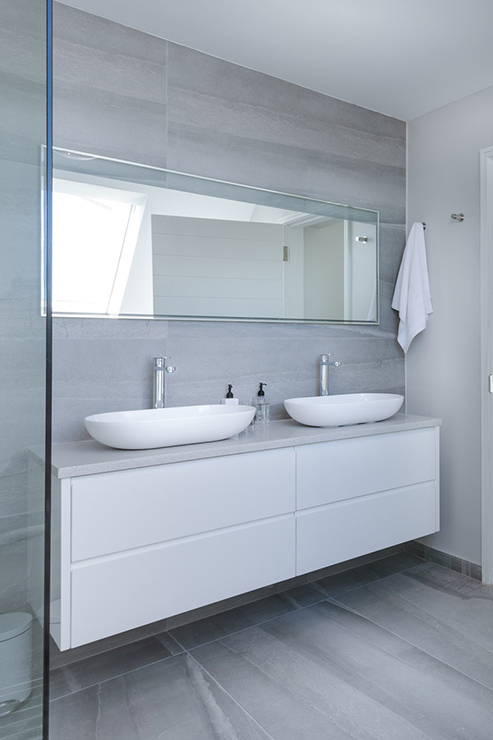 We stock and display a fine wide range of premium ceramic tiles floor surface products that can enrich the look of any installation, residential or commercial. Whether you want your floors to radiate a serene, natural look, or a lively and energetic appearance, you will find a suitable match at our ceramic tiles showroom. Come in today to our showroom and see, touch and feel the best ceramic tile flooring options on the market. Here is a small portion of our designs selection to inspire your next update. Channel your inner Italian with stone look ceramic floor tile. Our showroom has a great selection that features Tuscan Medallion Stone Look Ceramic Tiles Collection, a beautiful stone tile printed with a masterly placed Tuscan Medallion in the center. This unique tile design will give out the vibe of Italian architecture that is sure to make you feel the warmth of the Italian sun. 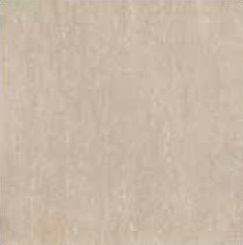 Our Crema Ivory Tiles Selection features sand colored tiles that radiate exotic warmth to any room.  Other ceramic tiles stone look colors include Montecito, Isla Beige, Texas Beige, Baja Tan, Elissa Beige, Crema Ivory, Baja Ivory, and more. These ceramic tile flooring options are available in 24″ x 24″, 20″ x 20″, 18″ x 18″, 16″ x 16″, and 12″ x 12″ sizes. Stone look ceramic floor tile features natural veins, authentic textures, and unique grains or real stone. They convey timeless elegance, genuine stone look, and traditional classy appearance to make your design project both durable and beautiful. Our stone look ceramic tiles are inspired by different stones, but each variety shows unique personality, incredible durability and strength, and timeless elegance. 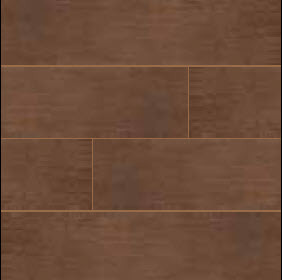 Celebrate your home with wood look ceramic tile. 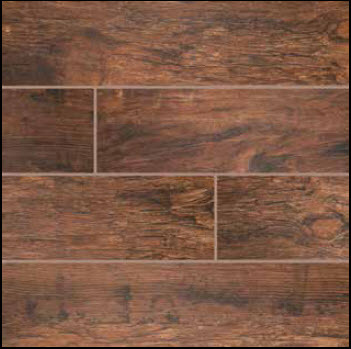 Our superior ceramic floor tile selection features a series of ceramic tiles that look like natural wood. Our Sygma Collection is sure to inspire your remodel with colors like Cafe, Chocolate, Ebony and Ice, and transform your living or office space into your favorite lounge area that relaxes and inspires. 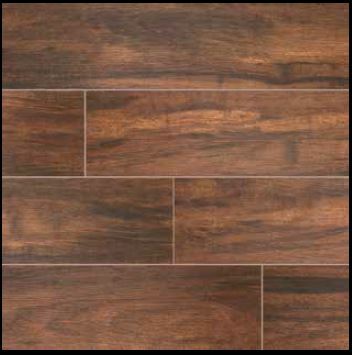 If you prefer a more traditional wood look ceramic tiles, check out our Sonoma Collection for more classic colors like Driftwood, Pine, Oak, and Palm. 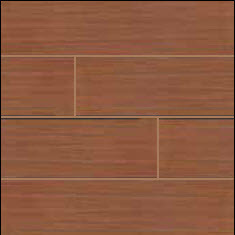 These ceramic floor tile options are available in 6″ x 24″ size. 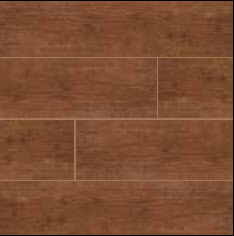 Wood look ceramic tiles provide a unique experience of real wood flooring, its natural look and feel, at a lower price point. Our selection offers a wide spectrum of wood look ceramic floor tile styles, that can give a stunning look to any room in your home. If you’ve been shopping around for floor tiles but cannot decide between porcelain vs ceramic tile because of porcelain tile higher price, we have your problem solved. Stop by Home Art Tile Kitchen & Bath in Queens, NY today and get amazing ceramic tiles for sale at rock-bottom prices. These ceramic tiles come in a wide array of colors, textures, shapes, finishes, and styles. Multiple options provide you with the creative freedom to decorate any wall the way you want and protect it for longevity and immaculate performance. Ceramic wall tiles are highly durable, easy to clean, moisture and fire resistant — an ideal solution for kitchen or bathroom walls. Looking for a more upbeat way to spruce up your kitchen, shower or bathroom vanity? Our Highland Park Ceramic Wall Tile Collection boasts a variety of white ceramic tile subway style in impressive shades such as Whisper White, Antique White and Dove Gray. They come in an assortment of stimulating prints like Arched Herringbone, Brick Pattern, Hexagon, and Crown. Highland Park subway wall ceramic tiles are available in 3″ x 6″ and 2″ x 6″ sizes.Drop in or schedule a consultation with one of our designers to choose the best kitchen ceramic tile backsplash, ceramic tile for shower, or ceramic mosaic tile. Share your ideas with us and we will advise you on the best solutions for your interior, needs, and budget. We will provide a range of suitable options for you to consider and advise on color, design, finish, and shape, as well on the best way to keep your ceramic tiles in the best shape and ensure their longevity. Take samples home and see how they fit with your current decor. Take a close look at their appearance in different lighting conditions and how they pair with other finishings in your home. Come back to get the ceramic tile you liked best. Send us a photo of the completed project. We would love to see the end result! 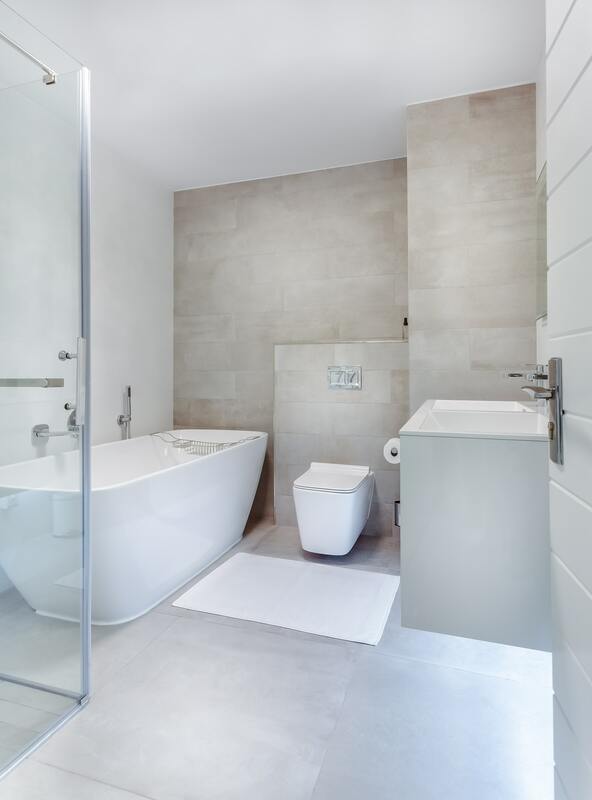 Specialized in providing a wide spectrum of superior finishes and fixtures for residential and commercial remodel projects, Home Art Tile Kitchen & Bath offers premier ceramic tiles collections for ultimate beautification and protection of your floors and walls. With excellence in customer service and high-quality products, we provide the best value for the money. Our ceramic tiles showroom located in Queens, NY provides a unique retail experience for customers with respectable, personalized, and professional customer service that inspires and educates through the selection process. We are equally proficient at dealing both with residential projects and large, commercial remodel projects that demand specific solutions. Our expert designers will advise you on the latest ceramic tiles trends, design, color, as well as on convenience, care and maintenance. Contact us for a free estimate or visit us today at 35-10 43rd Street Long Island City, New York to view our ceramic tiles collections.